Scrubbing the way to a cleaner mouth. 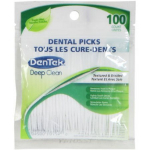 The thousands of micro-bristles on each Scrub Between Dental Pick softly, but firmly scrub in-between teeth, dislodging food and plaque, while scrubbing surfaces clean of any remaining debris. Scrub your way to a confident smile. 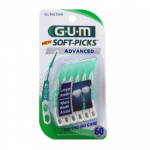 Scrub clean the hardest to reach surfaces in you mouth. DenTek Scrub Betweens are like no other pick. Use gentle back and forth motion to remove food and plaque. Did you know American Dental Association (ADA) recommends you replace your toothbrush every three months and after every illness.